Fabulous Mini Farm with 2nd dwelling! Fantastic opportunity to purchase this established 5 acre farm with irrigation rights that service the mature fruit and nut trees, many gardens and plantings. The main residence is set back nicely from the road and the property is gated. There is a cozy covered front porch and large picture windows. Hardwood floors in the living room and a fireplace. Lots of recent upgrades like vinyl windows, newer bath and heated floors throughout. There is a separate hobby'' or guest room off the attached breezeway which also features heated floors. The 2nd residence is a stand alone cottage that is fully handicap accessible with one bedroom and one bath. There is a large workshop/garage with a fruit and canning area and vehicle area with double doors. The barn has 2 stalls a tack room and a large chicken coop. 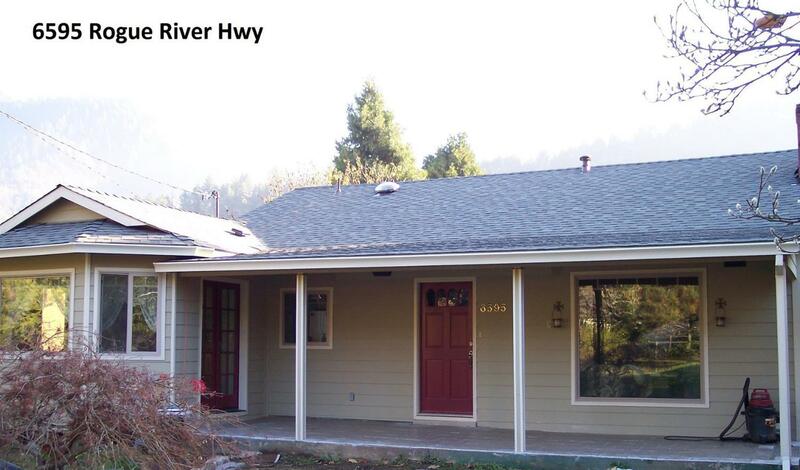 The Rogue River is very close by and the mountain and area views make this the perfect property to call home.